Welcome to our Stamp of the Month Blog Hop! We will be featuring October's SOTM, which is called Scandinavian Wishes, a festive set of 16 stamps. If you have come here from JOY'S BLOG, you are on the right path! This month I wanted to make a clean and simple card using this set. I grabbed this sketch from Retro Sketches because I loved the funky flap at the top. I tried the flap a few ways before deciding a little swiss dot embossing was right for me. I love the look of Colonial White ink on Kraft, and our clear acrylic material makes it so easy to line up a repeating pattern like I stamped on my card base. I paper pieced the little bird, stamping him twice in Olive and twice in Cranberry ink. I refrained from going all googly eyed on this sweet little bird and gave him a bitty sparkle instead. I added a tiny dot of green glitter glitz to the center of each stamped flower for a bit of holiday sparkle. Now "Hop" on over to FANCY MELISSA'S BLOG to see her Scandinavian Wishes! Be sure to visit all the Consultants Blogs to soak in the great crafting and SOTM ideas! 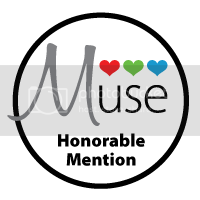 Remember, this SOTM will fly away at the end of October, so contact your CTMH Consultant (or click here) to see how you can get this stamp set for just $5! 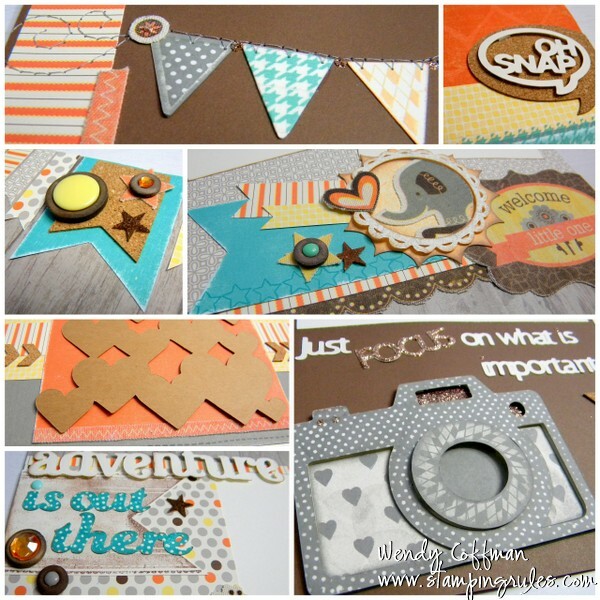 This morning I'm featured over at Practical Scrappers with this fun fall project! When I found this chevron print burlap canvas I knew it would be perfect for a pretty scrappy door "wreath", which is ready to start hanging around on my front door now that Fall is really here. I had originally planned to make it more Halloween themed, but then I saw the Tuesday Trigger over at Moxie Fab World and I was immediately inspired to change my whole game plan. We still have a lot of green around in fall up here in the PacNW...plus if you've seen my work before, you know I don't need much encouragement to add glitter and flowers to any project! So I hit my stash pretty hard for this project, using up bits and bobs of all kinds of materials to build my flowers. I've got a bit of chocolate felt scallop border that I rolled up into a sweet rose. Layers of Garden Green and Colonial White cardstock were cut with our Cricut Art Philosophy cartridge to build the biggest flowers, topped off with bling from the Rosewood mini medley. I also cut retired Desert Sand linen B&T patterned papers and Creme Brule cardstock for the 3-D rolled flowers, also from Art Philosophy. The leaves and vines are felt. I filled the rolled flowers with glitter glitz and Sparkles, and tucked a little felt acorn detailed with Autumn Terracotta alcohol markers and a Sharpie pen in amongst the flowers and bling. I backed the wreath with a few layers of black tulle...which did not like the hot glue gun so much. I cut my sentiment on the Cricut as well, using a deep brown glitter paper. The upper letters are layered onto cork from the Midtown shapes. Most of the materials to build my wreath came from Close To My Heart. I found the burlap canvas at Joann's. The sequins are from American Crafts filled with brown bitty sparkles. I attached everything using my hot glue gun so it'll be good and sturdy hanging on my sheltered front door. I'm linking up to the Paper Issues Halloween Party and the Heart 2 Heart Au Naturale Challenge. Now it's time to head off for another week of apple picking, sweater wearing, pumpkin spice everything fun. Happy Fall, Y'all! 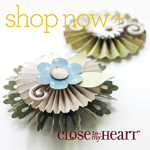 Today is my last turn guest designing over at Heart 2 Heart. I'd be sad, but this week's challenge was so much fun...plus I can still play along next month! This week's challenge is called Alphabet Soup. We were to use at least two different types of letters in our project. I chose the new You Are My Happy Trio special set (still can't believe you get all that for $10!) and my favorite Kraft Keyboard alphabet. I used a lovely and simple sketch from Sketchbook Saturday to start my creation. Then, because I really wanted to keep playing along with the Merry Monday Christmas Card Club, I chose to work with red, dark brown, and gold with shimmer. Now I am not normally a gold person. I am a silver person. And I do believe I tend more towards glitter than shimmer. I used up every bit of ink in my Stardust clear gel pen, which is a kind of shimmery golden color to outline and add shimmer to my card, right down to outlining the cardstock strips of the B&T and cardstock striped paper I made for the bottom of the card. I painted my red cardstock card base with red Folk Art metallic acrylic paint to add shimmer, and I also painted the red accents on my tamping with that same paint. The leaves for the "holly" are colored with gold marker and outlined with the gel pen. Even the tiny nail art stars I added for bling are painted with golden bronze glitz gel. I definitely gilded this lily! I am linking this project up to the Moxie Fab All That Glitters Is Gold Challenge. Cath says that Gold touches everything with JOY, and who couldn't use a little more joy in life? 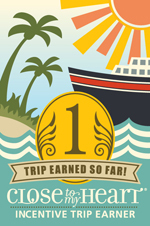 I hope you'll hop over to Heart 2 Heart and play along for my last challenge. 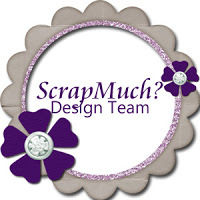 This week the team at Practical Scrappers is exploring the many and varied uses of Stickers. I made this board book many moons ago but never shared it on the blog. The book uses just paper and the coordinating stickers, so I knew it would be perfect! It's dedicated to pictures of all the boys when they were just tiny, sweet smelling babies. Sniff! I edged the Stickers with chocolate ink on a sponge dauber. All the little flower centers are accents either with prisma glitter accents or...well...a bit of bronze shimmer nail polish. I really wanted a finer glitter/shimmer to the accents and my glitter wasn't fine enough. So on the cover, where it wouldn't go near my pics, I just dabbed on a bit of shimmery nail polish and it was perfect! The color ready letter stickers got colored with a marker and topped off with a coat or two of Liquid Glass so they would be shiny and dimensional. 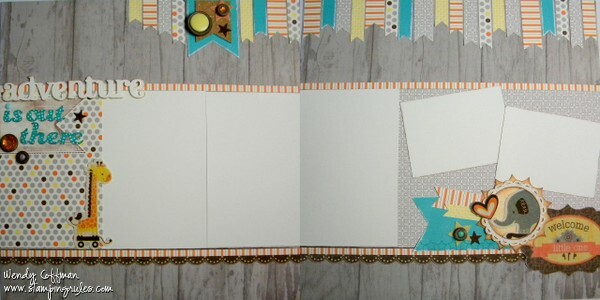 Here's a peek at the inside of this simple and quick little board book. There are a lot of hidden flaps under the Sticker embellishments, where I popped in short notes about each boy and how they were as babies. The boys are getting so big - it was fun to peek back at my tiny babies! I hope you'll hop over to get a peek at what the rest of the team did with their stickers, too. Thanks for strolling down memory lane with me today! This week over at Heart 2 Heart the assignment was to make something using your favorite things. For me that changes pretty rapidly, but right now I'm totally loving this woodgrain Dakota paper that I hoarded. I'm also pretty much always in love with all things Glitter, so the new green Glitter paper and glitter glitz gel are definitely favs. I have been adding stitching around the edges of everything lately (faux or real, which I do my hand). I also truly love a good blog challenge, so this week I used this sketch from Freshly Made sketches. Knowing I wanted to keep this card crisp and clean for Freshly Made, I went searching for some CAS inspiration at CASology, where the cue card this week is SILHOUETTE. I knew that next month's SOTM had some great silhouette images in it, which is perfect since I needed to do a SOTM card for my team ladies too. 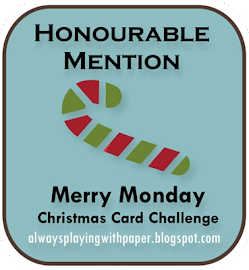 And since that was a holiday set, I knew what colors to use from the Merry Monday Christmas Card Challenge. I'm also linking up to the Paper Issues Put some Twine on It Challenge. Sweet serendipity! 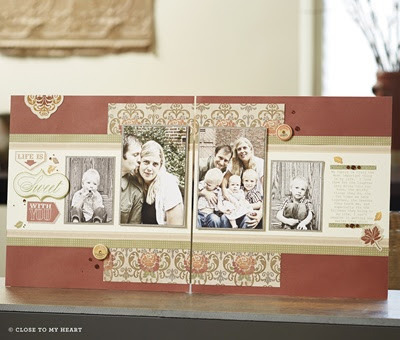 I hope you'll pop over to Heart 2 Heart and share a project made with some of your favorite things! Friday my scrapbook club is meeting to focus on my favorite new paper pack, Babycakes! I had the best time putting this kit together for them while hanging out at the Embellish Online crop. I added the Babycakes Canvas Complements, the Midtown Cork Shapes, some Artbooking diecuts and overlays, a generous helping of Bronze Shimmer tape, and a couple sheets of the (retired) Dakota Woodgrain paper. I think theis second set of pages is my favorite...we really love the movie "Up", so I can't wait to get some pics of my littles on the page...ok, all right, it's really because of the woodgrain background. We really do love Up though. One of the boys once asked me when we can tie balloons to our house and float to South America! I'm linking this post up to the Craft It Up Party over at Craftin Desert Divas, where they are celebrating all things baby. Next up is Huntington papers - welcome, Fall! Sample image - actual pages will vary. 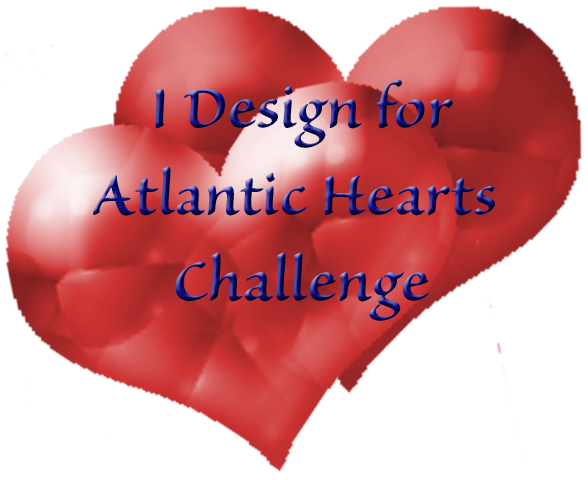 I'm a Heart 2 Heart Guest Designer! 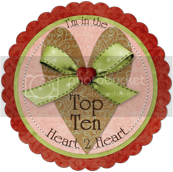 I was so excited when I learned that I was the Top Chick last month for one of my favorite blogs, Heart 2 Heart. I love their challenges and I try (not always successfully) to play along with every one each month. 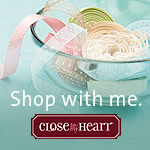 So you can imaging the squealing in the Stamp Pad when I was asked to be a guest designer for Heart 2 Heart this month! The first project is a color challenge - Sunset, Barn Red, Cashmere, and Gypsy. I knew just which stamp set I would be reaching for, too...Happy Autumn was screaming out, "Pick me! Pick MEEE!". So I inked those lovely flowers in all for colors, rolling on the layers of color and popping up layers of petals with lots of foam tape. I used the patterns in Washi Wonder (a special hostess only stamp set) to add texture to my sentiment label and the banner peeking out behind the sentiment. I built the glitter stripes using sanded strips of Cashmere Cardstock over a layer of adhesive. 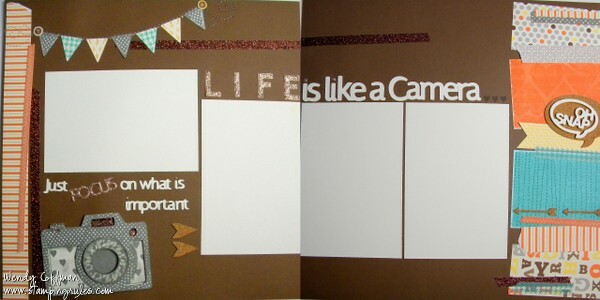 I sprinkled on prisma glitter to fill in the spaces between the distressed cardstock. My center panel is embossed with a big dot cuttlebug folder, then sanded heavily to bring out the dots. I got to machine stitch the distressed panel onto my Huntington paper panel, because my sweet CTMH team was here all day on Saturday rearranging and unpacking everything in my Stamp Pad, so I now have an actual sewing station! Of course, I wouldn't be me if the first thing I sewed wasn't paper. And boy, oh, boy, am I ever grateful to have such amazing and wonderful women on my team! 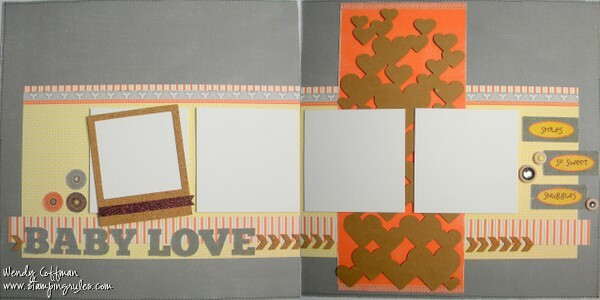 I used Iwona's Sketchbook Saturday sketch for my card inspiration. I'm also linking up to the Just Us Girls Distressing Challenge. I hope you'll head over to Heart 2 Heart to check out the inspiration projects and play along with this week's color challenge! I'm so excited! 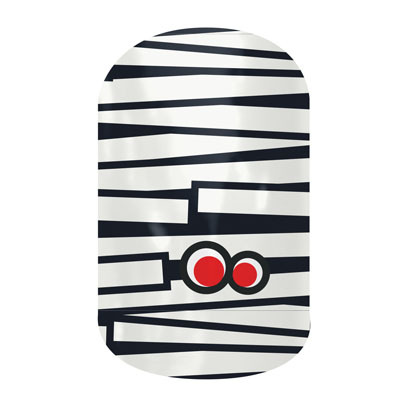 Today the new Jamberry catalog is here, and I just ordered up some new Jams for the fall! How cute are these Mummified Jams? I got the Jack-o-lanterns in the Juniors Sheet size, too. I won't be able to get 2 manis and 2 pedis out of a Juniors sheet, but it'll be enough to get a couple really cute manis for sure! You can check out the new Jams (and join my party) out at my Jamberry website. We'll be 2 cute 2 spook together!